Week 5 had one of the most shocking results we’ve seen in recent years. Eighth placed Zum Schneider F.C. 03 blanked champions Lansdowne Yonkers F.C. 1-0. This loss dropped the amateur giants to last place and keep them winless in domestic action with a 0-0-3 record. Elsewhere around the top division, NY Pancyprian Freedoms bested NY Greek Americans, 3-2, in the Hellenic Derby at the Met Oval. Cedar Stars Academy was also victorious as they downed Central Park Rangers Whites, 6-2, thanks to Christopher Katona’s hat trick, Bledi Bardic’s double and Robert Dashi’s first goal for the club. Shamrocks striker Kurt Cameron also had a multiple-goal game, bagging a brace to lead his side to a 3-1 win over Hoboken F.C. 1912. Lansdowne Yonkers F.C. unarguably have been the top CSL team in the past five years, winning the league four times, the amateur national double in 2017, reaching the Open Cup’s third round the previous year and setting a historic record of a 46-game undefeated run in the CSL on April 26th, 2017. As crazy soccer can get, the Irish club is now the last placed team of the young season and is on a five-match losing streak to CSL teams in all competitions as they lost to NY Pancyprians twice, in the Open Cup qualifiers and in the league, to Cedar Stars in the Rapaglia Cup and to Shamrocks in the CSL. All the teams cited are from the top half of the standings but in their last match, the Bhoys were overpowered by Zum Schneider F.C. 03, 1-0, a side that entered the game as the last placed team and on a 0-0-4 record. Before the match, Zum’s coach Alexander Berscheid himself said “if you think for one second that we have a chance against the reigning champs just because they dropped a couple of points then you are on the wrong path” before stating that he will pop a bottle of champagne if the game was still 0-0 at halftime. Well the score was 1-0 since the opening five minutes in favor of ZSFC as center back Christopher ‘Julian’ Poppensieker power-kicked Saad Afif’s corner kick from the six-yard box. It was Julian’s first-ever CSL goal. Berscheid didn’t pop a bottle of champagne at halftime but did celebrate the shocking win with a late-night beer. “I'm going to open a bottle of beer now and go to sleep soon,” the 48-year-old coach said in a phone-interview. Zum leaps from 10th to eighth place with the three-points while Lansdowne downgrades from ninth to 10th spot. 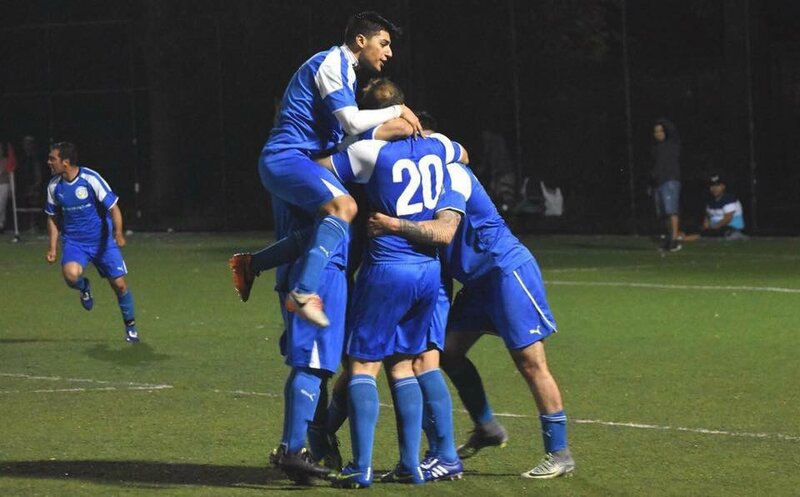 NY Pancyprian Freedoms mounted over NY Greek Americans, 3-2, in the Hellenic Derby on Sunday night at the Metropolitan Oval. Grenada international Shavon John-Brown tapped Jonathan Borrajo’s cross in the net in the 21st minute to blow the first hit of the derby. NY Greeks struck back in the 42nd minute when Charlie Ledula converted a spot kick. The Freedoms crawled back on top of the home side in the 62nd minute as Andreas Iosifidis one-timed a voluptuous low-shot to the lower right corner of the net from about 25-yards out. The Cypriot club scored a second consecutive goal later in the 81st minute when Adam Himeno headed Borrajo’s cross in the net. The Greeks attempted to make a late comeback. Shaun ‘Fozzy’ Foster sizzled Pat McCann’s ball over the top to the bottom far left corner of the goal in the 93rd minute. NYGA couldn’t find a way to score on NY Pancyprians again in the remainder of the match hence registered their first loss of the season and now sits in fifth place with a 2-1-1 record. Meanwhile the Freedoms stay perfect in their first four CSL outings and in second spot. 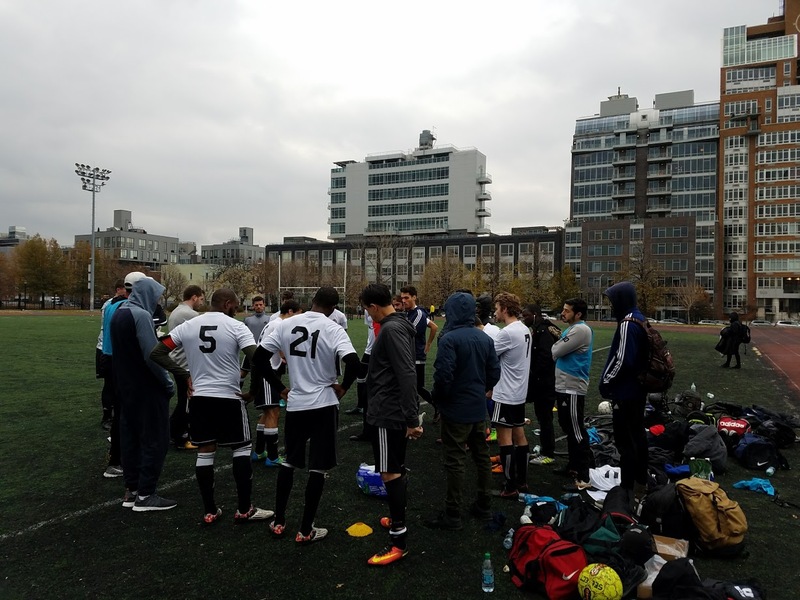 Statiscally speaking, Central Park Rangers Whites gave Cedar Stars Academy their best challenge of the CSL season thus far as they got outplayed, 6-2, away from home at Capelli Sport Complex. Christopher Katona netted a hat trick to jump to 11 goals on top of the top scorers' chart. In one of his goals, Katona shifted past a couple of CPR defenders before beating the opposing keeper on his near post. Bledi Bardic scored a double to go one goal and one spot behind Katona in the top scorers' race. For his first goal, Bardic exchanged passes with Katona before one-timing a shot to the bottom left corner of the goal. Bardic netted his second goal by banging Dwight Ceballo’s cross to the near post. To complete CSA’s six-goal display, reserve player Roberto Dashi scored an upper-90 in his debut with the first team. As for Central Park, James Greco scored their first goal via a deflection and Dario Namruev made it 6-2 from Faissal Sanfo’s pass. Shamrocks inflicted Hoboken F.C. 1912 their first loss of the season, downing them 3-1 away from home at Stephen R. Gregg Park Turf Field 1. Kurt Cameron scored the opener in the 32nd minute as he steered Yannick Diese’s pass with his left foot to the far low corner. Three minutes later Cameron sent Kwesi Mills-Odoi on goal, who netted by placing the ball to the top corner of the net. Mills-Odoi thanked Cameron by sending him on goal as well in the 44th minute. The Ghanaian controlled a long ball under pressure then pushed the ball to Cameron, who found the far corner of the net after taking a couple of touches in the box. Shamrocks head coach Kevin Grogan was delighted with the win. 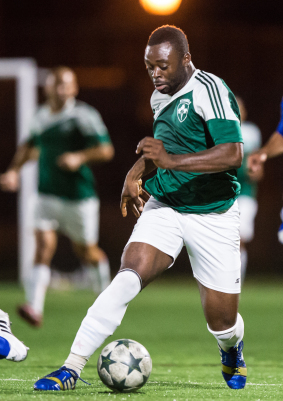 Hoboken pulled a goal back in the 84th minute when reserve player Samuel Omosuyi controlled Kevin Bzdek’s 25-yards pass before beating a Shamrocks defender on speed and the goalkeeper with a smooth shot. Doxa S.C. and NY Athletic Club played a stalemate at Sidelsky Field on Sunday evening. NY Athletic grows their unbeaten run to four games and stays in sixth spot. Doxa also remains in the same position, which is one place below NYAC. It was NY Athletic’s second straight 0-0 game. The club is the second least scoring team in the league, tallying five goals in as many matches but is notably, as mentioned, on a four match non-losing run.